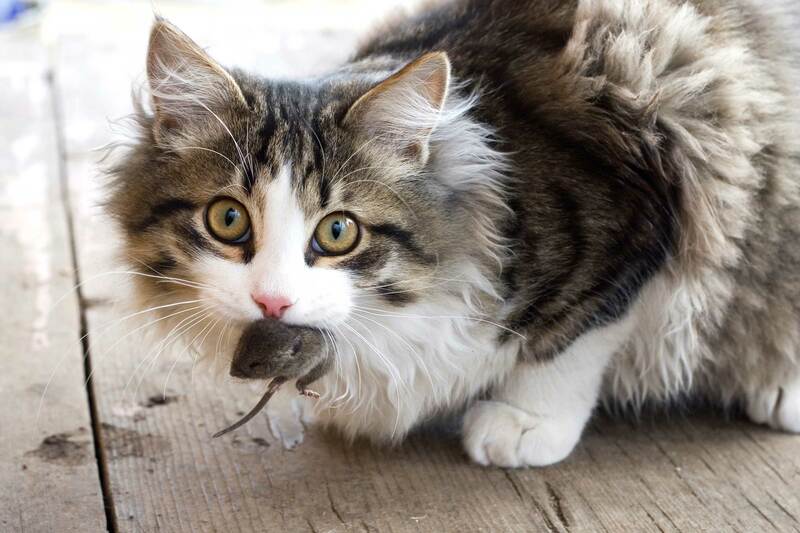 Home » Cats » Why Do Cats Bring Dead Animals Home? Have you ever came home after a long day work only to find a nasty surprise waiting for you. Unfortunately, some cats bring home dead animals on a weekly basis. Cats are highly active, cute and outgoing. However, it is quite frustrating to receive a half dead animal as a gift from your cat. You might ask yourself why the cat brings a dead, twitching little creature for you instead of a flower. If you think that everything about your cat is picture worthy and adorable, you might change your mind after getting a rodent from your cat as a gift for the first time. It is always puzzling to see an otherwise well-behaved cat as a wild and untamed hunter outside. Experts say that house cats are not fully domesticated. They have a natural instinct to prey and hunt. They also like to share it with their loved ones. Every animal is born with some instinct. For example, lions have the instinct to mark their territory. Cats happen to be born hunters. A family who kept two female cats reported that their cats often watch birds from the window and make a chattering jaw noise. They were completely domesticated and have never been socialized with the outdoor environment, but still they had the instinct to hunt. 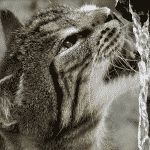 When cats observe anything moving and shaking they follow it and try to catch them. It’s not about hunger but instead instinct. When you let your kitty outside once or twice in a day, they explore their surroundings and wildlife. With every creepy insect, flying bird, or scurrying lizard they are attracted to hunt them down. Cats carry dead animals to show love. As owners we provide food, cats in return take dead animals to you as a way of saying thanks. Perhaps it is strange, but it is the only gift your cat can give you. We as humans offer gifts to our loved ones; a dead animal (food in sense of cats) is the most precious gift they can give their loved ones. Cuddling, purring, and bringing gifts is a cats way of saying "we love you" and you mean a lot to us. Some domesticated cats are spayed and can’t produce babies, but still, they practice their skills and want to transfer prey to someone else as a normal cat would transfer to its kitten. Usually, cats take their kitten out to teach them how to hunt and gather food for their survival. If we observe how they prey, it becomes easier for us to understand why they seem like a cold-blooded killer. In this case, domesticated cats bring injured or half dead animals to teach their younger ones the right way to prey. They aren’t killers, but hunters in fact. Female cats especially have this instinct to bring their prey home. Cat foods are the main meal for domesticated cats. Sometimes they are offered boiled chicken or fish that is canned. But cats like raw meat better. When they don’t get it by their food providers, cats try to obtain raw food by hunting and bringing dead prey to home. Chasing mice is just real life version of playing with a mouse toy. A couple that owned a Persian cat reported the presence of a mouse in their kitchen cabinet area. Their cat would sit far away gazing at this mouse for hours and observe its movements. One day they saw their cat was holding this dead mouse in its mouth. After putting it in front of the owner, the cat started playing with it by batting at it like a mini football. It is clear cats find live animals entertaining. Research has also indicated that playing with a dead animal is sometimes entertainment for cats. They enjoy using their killing instinct. Introducing your cat to toys, especially feathery toys, give their hunting instinct some satisfaction. 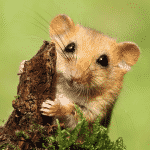 Occupying their daily routine with different games and offering them a fun size mouse may stop them using their hunting skills to kill other animals. Although hunting is completely fine for cats some cat owners still want their pet to be nice and peaceful. Keeping their brain busy with games like giving them an old piece of cloth helps soothe them. Another option can be keeping the animal indoors. Some cats might not tolerate the restriction as they enjoy their outdoor lifestyle. Make the cat wear a collar with a bell, this will help alert the animals they are hunting. They will run away as soon as the hunter approaches. Conclusively, a cat’s instinct along with their cuteness are what makes them lovable with every different activity. Cats never forget their natural instincts, so dead animals will unfortunately keep showing up at your door. The methods listed above can help reduce the frequency in which this happens.